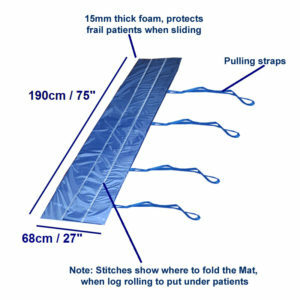 The Slide Board Mat can be used with a Trolley Slide Board to slide a patient lying supine on a bed to a shower trolley, operating table, etc. 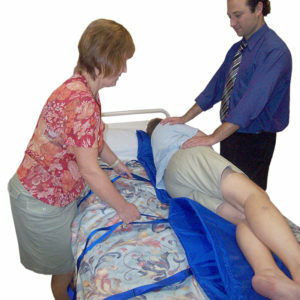 The foam padding in the mat will protect the patient’s back from the hard Slide Board. 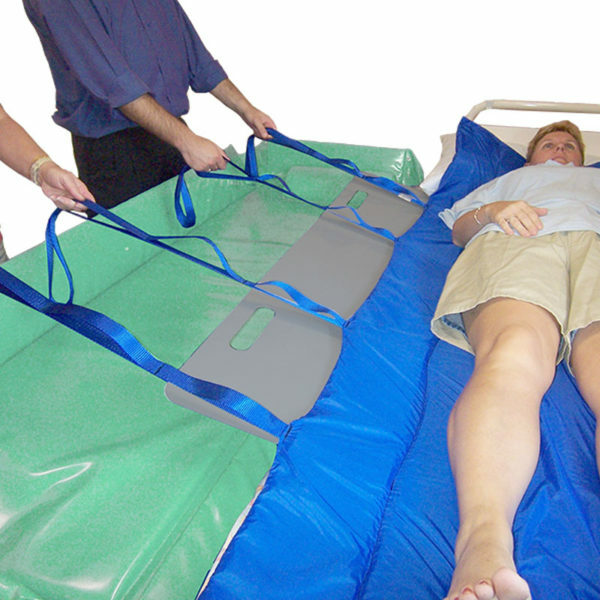 The pulling straps are long enough to reach across a trolley or bed, so the nurses can maintain a good manual handling position, when sliding the patient. The size of the gap between the bed and the trolley. The Slide Board Mat can be unzipped to remove the foam for hand or machine washing. Cleaning Cover and Foam: To prolong the life of the cover and foam, always air dry in shade. 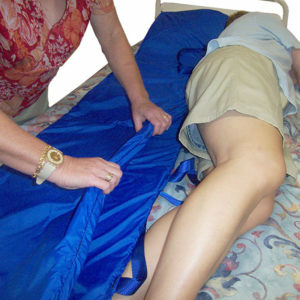 Cover: Spray and wipe clean or remove foam and hand or machine wash up to 80° (176°F). Do not tumble dry. Foam: Hand wash foam squeezing out excess water. 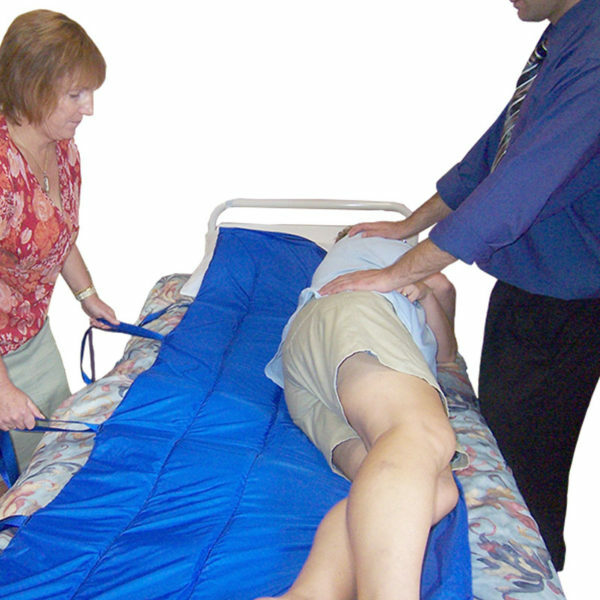 Handle with care when wet. Do not wring or tumble dry.